Kevin Cassidy says that football has been a welcome distraction as the community of Gaoth Dobhair tries to cope with the tragic recent loss of four young men from the area. Mícheál Roarty, John Harley (both 24) Shaun Harkin (22) and 23-year-old Daniel Scott all died in a car crash on 27 January. December's joy at Gaoth Dobhair becoming the first Donegal side since 1975 to win the Ulster club SFC title was quickly overshadowed. "It was tough I suppose at the start, very tough," Cassidy told RTÉ Sport. "The last couple of days were something I've never ever experienced before in my life. The parish was just completely raw and numb. "Obviously when it happened you don't really care about football to be honest. But then, in the back of your mind, you're thinking you've the biggest game of your life to play in a week or so time, so you have to get ready. That's really what we've been doing. 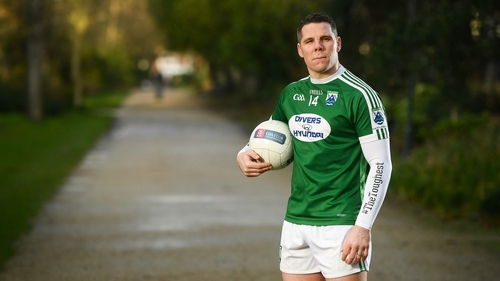 "I think none of our players were thinking about Corofin (in the All-Ireland semi-final) this time last week, it was all about shock and trying to process it all. "Since then we've kind of regrouped. We went back training the night after the funeral. It was good to be back with the boys and get back to something that feels normal to you. To get back to the sanctuary of the GAA pitch was good. Since then we've just rolled with it." Former Donegal star Cassidy knew all four young men but Roarty, known as 'Roycee', was also on the Gaoth Dobhair panel. "I would have played against one of them and I would have known the other two lads but obviously Mícheál Roarty was a team-mate of ours," said Cassidy. "He trained with us that Saturday morning, so he would have been around our squad. "A very talented player, a serious character. Everybody knew him. If there was ever a night out, he was always there. You're still waiting to see him pop up or you're still waiting to see him come out of a changing room. "It's tough for us but for the family it must be really, really tough. All we can do is try and do as much as we can to try and help with that." Cassidy is wary of trying to harness the emotion of recent weeks for the football field but promises the team will try to make Mícheál's family proud when they play the reigning champions next weekend. "I think it's important to distance the two. Obviously Mícheál was a good friend but I don't think you can go and make a crusade out of something and try to say 'we're going to do this'. "All we can do is next Saturday in Carrick-on-Shannon, try and put in a performance that our supporters would be proud of, hopefully Mícheál's family would be proud of. That's all we can really do."